Artists from all over the country trek to A3C for exposure, to make connections and hope to find their wave in an industry that is a tsunami. Buggs tha Rocka has made the journey three years in a row. 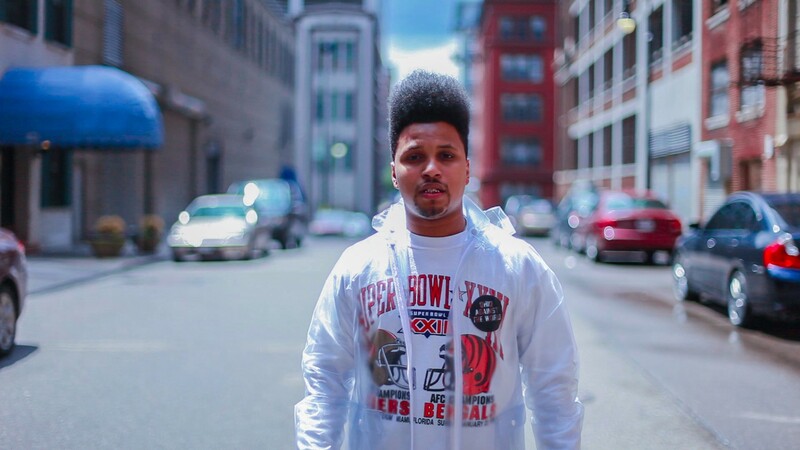 The lyricist, now signed and touring with Talib Kweli, talks about how he moved around during the festival and made his mark and drops some pearls for new artists coming to the festival. Congrats on your tour with Talib Kweli. How has that experience been? Kind of surreal. Hi-Tech was also on tour with us. I’ve been listening to Kweli and Hi-Tech you know him being from Cincinnati, Ohio and making it as big as he has, producing legendary albums in hip hop. You know having both of them on tour and having Kweli as a mentor and being apart of his label was kind of surreal for me. We hit Cincinnati, Cleveland, and Columbus the major markets in Ohio which was real cool because I got to see a lot of familiar faces and also see a lot of people I didn’t know and build my fan base. It definitely was a blessing. Really just the internet. The internet makes the world smaller. It was easy for everyone to link up. I’ve always had an ear for production. I was already aware of more known people like !llmind. And people like Sal Dali, who’s been working with Diddy and he’s from the city I always keep my eye on Cincinnati and Ohio and what’s going on. Has your experience touring and attending festivals had any influence on how you want your next project to sound? Have you met anyone you've vibe with that you want to work with in the future? 9th wonder. Were all part of the indie 500 regime with Rapsody and Pharoahe Monche. Of course Kweli and our team. Naturally I feel like 9th Wonder would work really well because were already linked in. We met earlier in my career I worked with Little Brother. I’ve always been a fan of his (9th Wonder) production. And a few other people as well. If you could create a montage of some of your favorite A3C memories what would they be? A3C is special to me because that was actually the first time Kweli came out on my set. Two years ago. 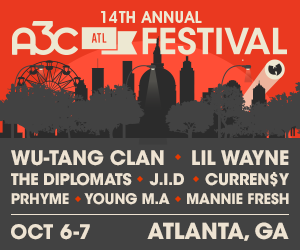 We didn’t know it was gonna happen and it happened at A3C. What is your advice to other independent artists coming to A3C? Don’t bring any CDs. I think physical CDs are becoming extinct. That’s just me. I see a lot of people throwing down CDs. Its better to have a jump drive and small download cards. Its not really as effective as it used to be. The second thing is just get out and build. Even if you don’t have a show. The first year I came down I didn’t have a show. Fast forward to now I have a few shows. Its about networking and grinding. Build with the people, have some promotional items and be prepared. Make your presence felt even if you don’t have a show.